If I behave myself, Mrs. Pie will let me stop for pizza along I-65 on our annual vacation drive to the Florida Panhandle. Timing has it that going down we stop in Montgomery while coming back it’s Birmingham. 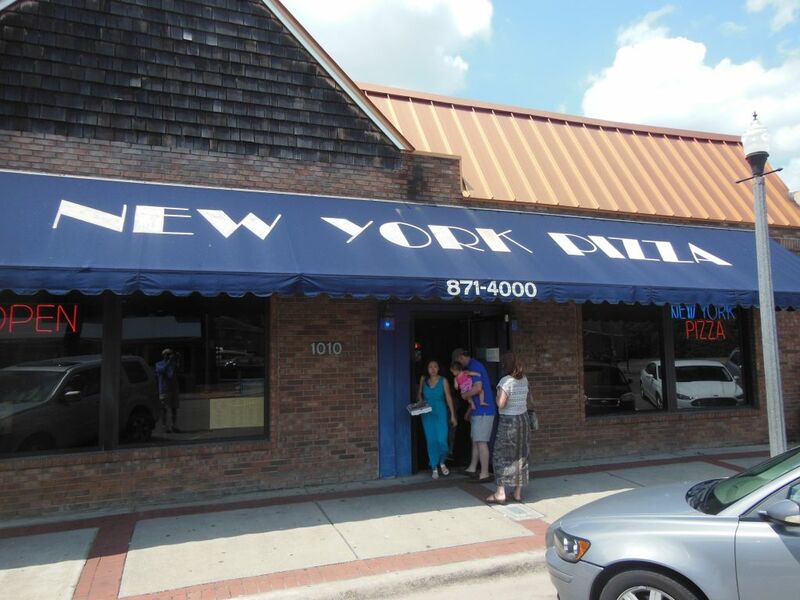 My pre-screened pick for this year’s return trip was the enticingly-named New York Pizza in Homewood, a small suburban community just south of Birmingham. 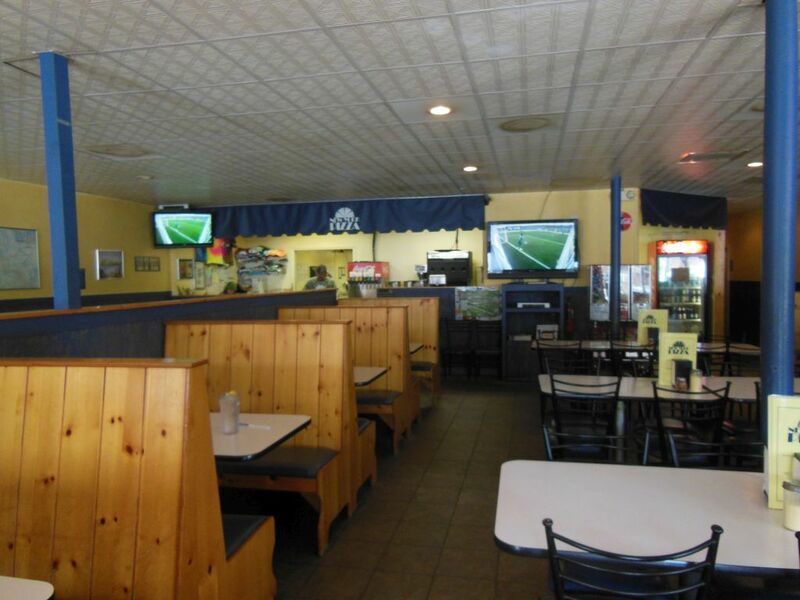 Established in 1982, New York Pizza is in the Edgewood retail district about two miles from the Interstate. The place was located in the middle of a city block, and we were able to park on the street right in front. I don’t know what scared her away, but Mrs. Pie took one look and decided to pass. Instead, she chose to leave me alone and visited the sandwich shop next door. At this late afternoon hour, New York Pizza was all but empty. They didn’t sell slices so I ordered a plain 12 inch cheese pizza for $11.50. In addition to pizza, they rounded out their fare with salads, calzones, pasta and subs. Their room was spacious with a mix of tables and booths. I took a seat and watched some soccer on the overhead tube while I waited. After about ten minutes, disappointment immediately set in when my pie was delivered along with a disrespectful knife and fork. 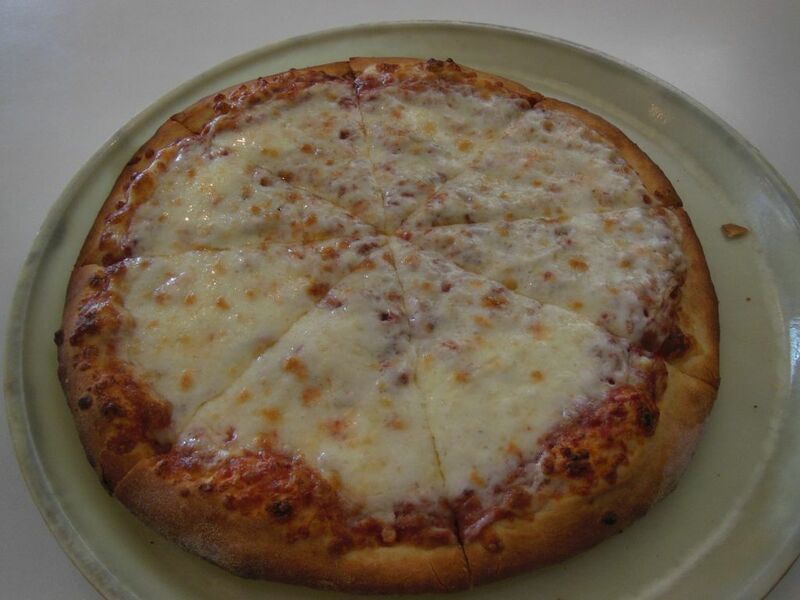 The small puffy pizza looked way too white, doughy and cheesy. Plain and simple, this pie just wasn’t very good, and I quit after eating only about half. Preparation wise, although it was served hot, it was not crisp at all—most likely from the use of something less than a true pizza oven. Cooked the way it was, all that mushy cheese just made it a sloppy mess to eat. Although there clearly was not enough tomato sauce, what was there tasted way too sweet. The taste of the cheese was off as well being much too salty. There’s really not much more to say. The pie was poorly cooked, and its taste was off from using non-standard ingredients. Homewood’s New York Pizza clearly did not live up to expectations of the name they are using. The review on the restaurant was great. I have also heard about the poor service in there. It was really interesting to read your article. The review on the restaurant was accurate. I have also heard about a lot of complaints about that restaurant. Really interesting post! FYI You got the name wrong in the last line. 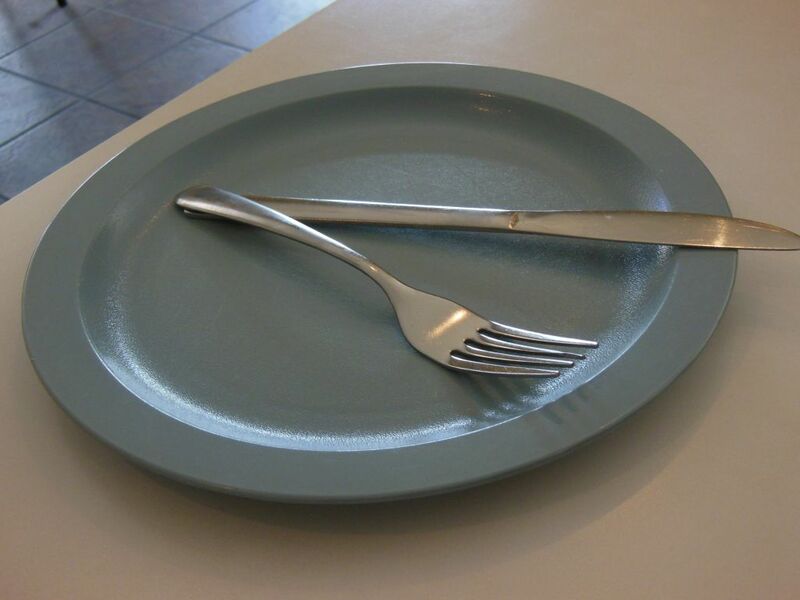 I visited last week and walked out after waiting 10 minutes for service in a near-empty restaurant. Bad attitude from the employee too.